No need for combs, rakes or detangling sprays. The Mat Zapper takes on the toughest isolated mats – all on its own. 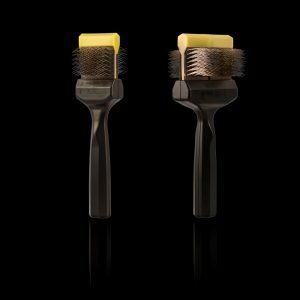 Its unique bristle layout quickly and efficiently tackles tangled clumps of fur. Recognized as the first line in matt defense, professional groomers rely on Mat Zapper as the go-to dog dematting tool in “emergency” coats – where the only other option is shaving. 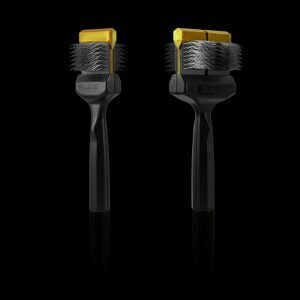 This ultimate brush removes stubborn tangles up to 50 times better than our regular brush line. Its very firm head and straight rows of bristles allow you to break through any mat. Used together with the Pooch Botanique F&T Degreaser, Dematter & Deep Cleanser you can go through mats like butter! 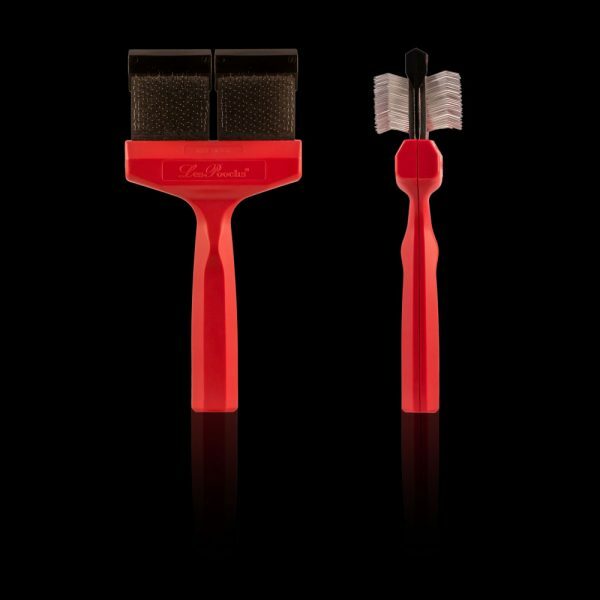 Use this dematting tool in combination with your regular Les Pooch brushes to help extend brush life. The Mat Zapper is ONLY for EXTREME mats – this tool is NOT recommended for thin coated breeds. Available in two sizes: regular for dogs 2 lbs. to 40 lbs. and wide for dogs over 40 lbs. Your best friend needs style too. Create it with the best dog dematting tool you can find.